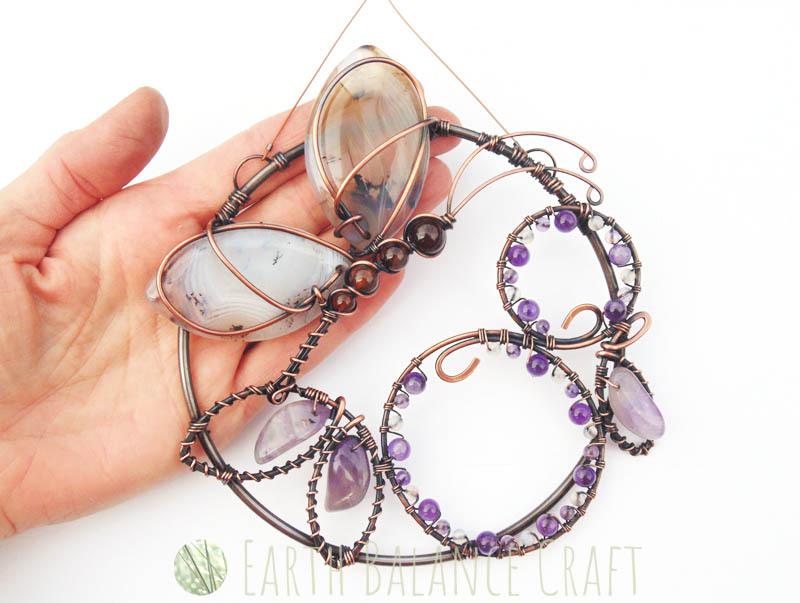 A pretty copper wire butterfly suncatcher adorned with fairyland agate and amethyst beads. 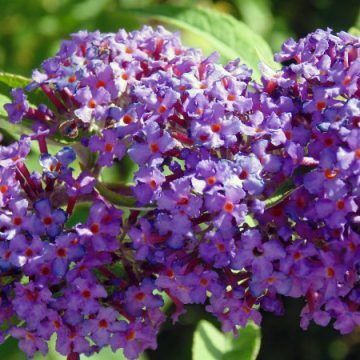 The colour palette features soft creams and whites with delicate watery purples. 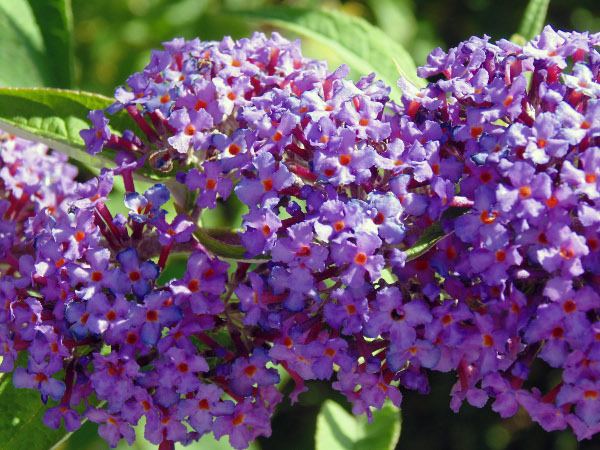 Inspired by a summer butterfly landing gently on a Buddleia tree blossom. Reminiscent of my childhood spent in my nana’s garden, on a hazy summer’s day gazing at the ‘Butterfly tree’ absolutely fascinated. Semi-Precious Gemstones: Agate and amethyst. Metal: Solid copper wire with a patina finish polished to reveal the warm coppery tones beneath. The copper has been hand painted with a durable gloss varnish. Hoop Material: Copper plated coated steel. Hoop Diameter: 12.5cm / 5 inches. After Care Guide: Visit this page to find out how to care for your copper design. Amethyst is a stone that is calming and soothing, an aid to meditation. It is also known to be associated with prosperity, helping to deal with financial worries and legal difficulty. It helps to purify and dispel negative energy, whilst creating psychic protection. One of the most striking British butterfly species is the grand ‘Peacock’, with his distinctive blue eye spots and vibrant red colourings. 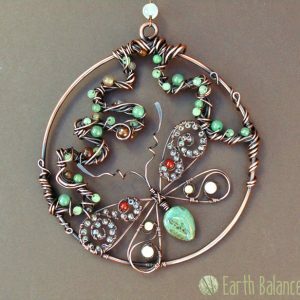 This intricate copper wire-work suncatcher follows the curvy contours of the Peacock butterfly, and is adorned with semi-precious gemstones and glass beads. Hang in a sunny window or out in the garden for twinkling sparkles all year round. This design is part of a collection of British butterflies that celebrates summer-time wild life and our fluttery friends. 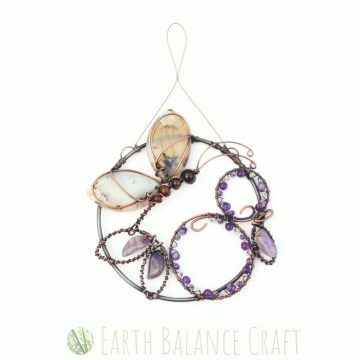 A decorative copper butterfly suncatcher wrapped with agate, sea glass and Czech glass beads. Inspired by the striking colours found in the British ‘Adonis Blue’ butterfly species’, with vivid cornflower blue, aqua and azure colourings. Their wings are naturally iridescent, are framed with a black line and a white fringe. This pretty blue butterfly is native to Southern England and a lover of sunny hill sides. This luxury design makes for a pretty window decoration or would suit a place hung on your wall as decorative art. A sparkling window decoration featuring agate, quartz, jade and Czech glass beads. Hand-made with oxidised copper wire work , this shimmering hanging decoration is suitable for both the home and garden. The design was inspired by summer rain drops with translucent watery white and blue flashes of rainbow colours. The perfect weather inspired gift for the home. 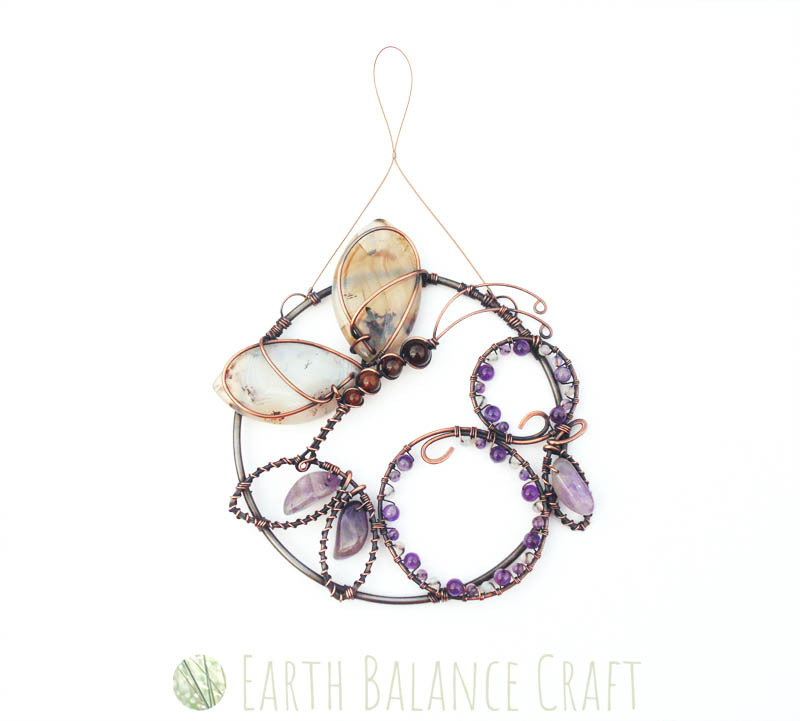 An oxidised and polished copper wire hanging heart decoration with agate, jade, moonstone, garnet and glass beads. Featuring a deep magenta, soft white and dusky pink colour palette. Whether for hanging in your lounge window for flashes of pretty light or out in the garden for year round colour, this suncatcher will make a pretty addition to your home. 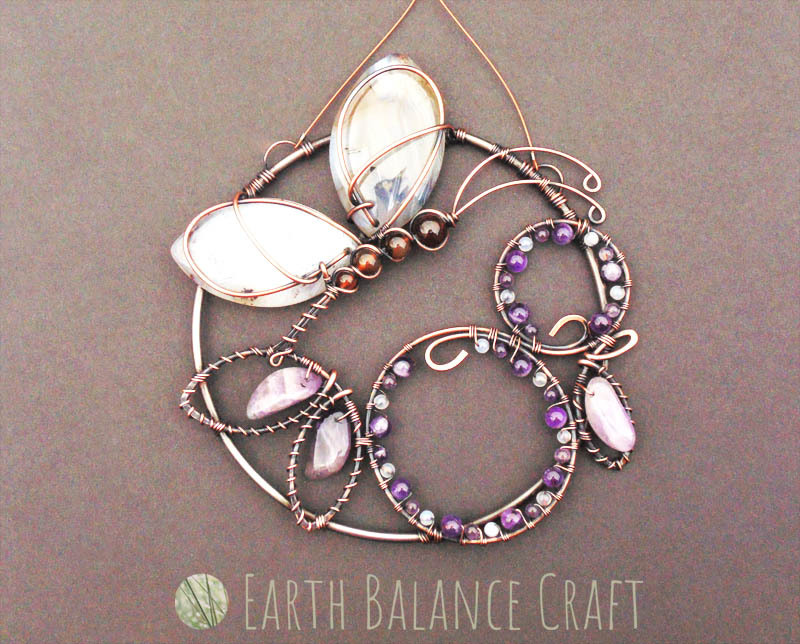 Learn to make a copper wire work pendant called ‘Ocean Waves’ with this hobby craft kit. You will learn easy to master metal working techniques to begin your jewellery making journey. 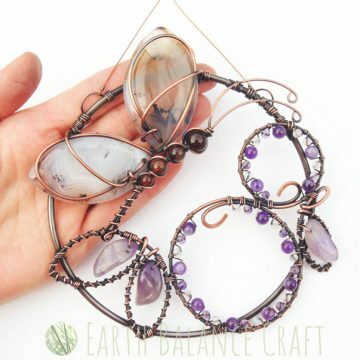 Gain insight into using copper wire in jewellery design, from the preparation, handling and forming through to the darkened patina finish, polishing and final varnish. A spring snow drop hanging heart decoration made with copper wire adorned with droplets of white and translucent beads. 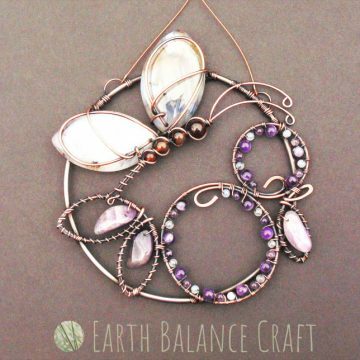 This pretty suncatcher can be hung in the home and garden. This design was inspired by snow drops, the very first spring bulb to make an appearance in the later stages of the winter season, with pretty droplets of pure white petals. This white heart is a great gift idea to symbolise remembrance, peace and condolence.